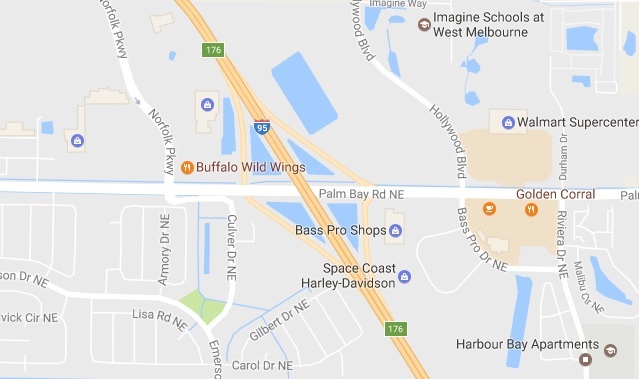 BREVARD COUNTY, Florida - The Florida Highway Patrol reported that a 34-year-old Palm Bay, Florida man died as a result of injuries he sustained in a crash that occurred on I-95 at 2:50 a.m. near the interchange with Palm Bay Road. Troy Hudson was driving a 2008 Nissan northbound on I-95 when, for an unknown reason, the driver lost control and the Nissan left the roadway. The front of the Nissan struck a light pole, continued along the shoulder of the road, and then struck a cement post. A passenger in the Nissan, 35-year-old Melissa Hudson, also of Palm Bay, is in serious condition at Holmes Regional Medical Center in Melbourne, Florida. Both the driver and passenger were wearing their seat belts at the time of the crash.